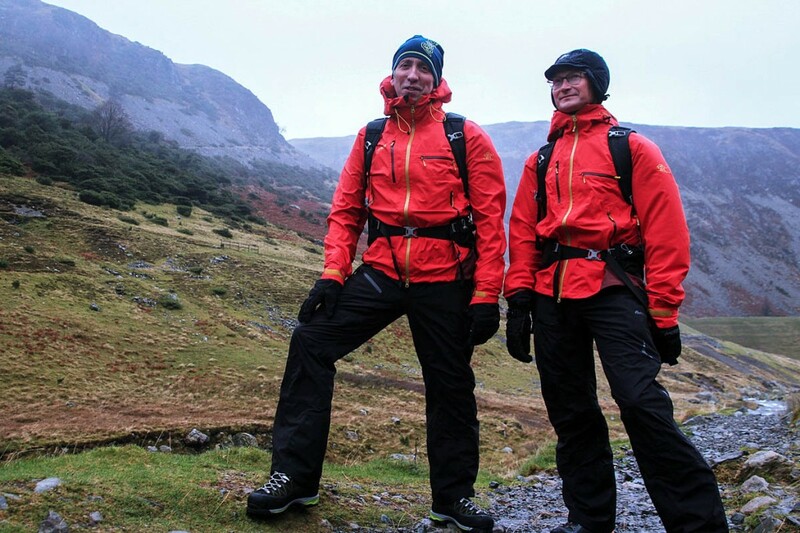 Two of the Lake District’s busiest walkers begin their winter season again today. The national park’s felltop assessors will make the ascent of England’s third-highest mountain every day from now until Easter – even on Christmas Day. Jon Bennett and Graham Uney will take turns to walk to the top of Helvellyn to provide weather and terrain reports for outdoor enthusiasts. And this season, they will offer extra tip to keep walkers safe on the winter mountains as part of a #summitsafely campaign. They will be tweeting their top 20 safety tips from @LakesWeather, sharing short videos on the Lake District Weatherline website, and running special safety kit giveaways. For those who feel inspired to take to the snow-topped high fells, Graham Uney will again be running his popular one-day winter-skills courses, for walkers looking to learn the basics of how to use an ice-axe and crampons. Ambleside-based Jon Bennett, who is beginning his 10th season as a felltop assessor, said his top safety tip is: if in doubt, turn back. “The mountains will be here another day, it’s more important not to put yourself or others at risk,” he said. “This is what the #summitsafely campaign is all about. We want people to have an amazing adventure and share their inspirational #summitsafely photos – it doesn’t matter whether it’s a walk round Ullswater or a hike up Helvellyn. Graham Uney is returning for a third season, running his winter skills courses alongside his daily felltop report. He said: “As a national park, the Lake District is everyone’s to enjoy, but during winter, it’s important that people take a moment to prepare for a range of weather conditions. The Lake District National Park Authority assessors will be arranging giveaways each week from a number of different outdoor brand partners including Páramo, Salomon, Petzl, Aiguille Alpine, EDZ Clothing, Hydroflask, Expedition Foods and Outdoor Research, some of whom have helped kit the two men out to keep them protected on the mountain. The two felltop assessors will be working alternate shifts to make the walk up 950m (3,117ft) Helvellyn every day during the winter. A felltop assessor’s nine-day shift involves a total ascent higher than Everest’s summit. The assessors brave the rain, snow and wind chill as low as -16C to record temperature, snow depth, wind speed, underfoot conditions and assess risks, including potential avalanches. Helvellyn was chosen because of its east-facing headwall above Red Tarn, which retains snow and ice. The service is available to the national park’s 17 million visitors and residents and is partly sponsored by EDZ Clothing, Mountain Run, George Fisher and Lake District Estates.